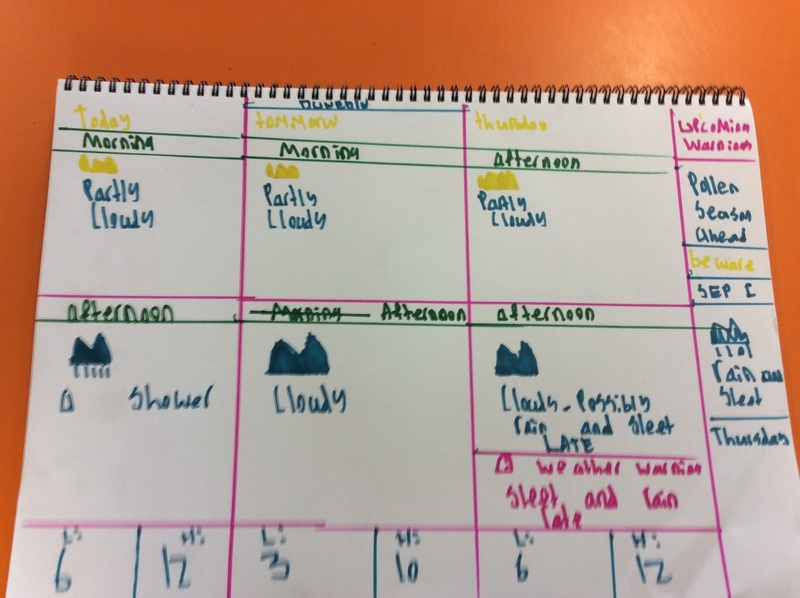 Recently Srinath Berry in Room 13 has been updating everyone on the weather ahead for the past few weeks. 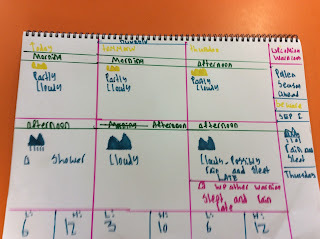 A few days ago he decided to make a weather chart and tell us the weather for the next few days. Srinath is also our technology man which means when something goes wrong or we don’t know how to do something he is always ready to help out. So when you need to know the weather, go to Srinath and maybe get pleasure. Wow. Great skills Srinath - thanks for the weather update.